Lavash, a traditional thin flatbread widely consumed in Armenia, Iran, Turkey, Kazakhstan and Azerbaijan, as the latter countries have disputed UNESCO's recognition of Armenian lavash as an Intangible Cultural Heritage of Humanity. 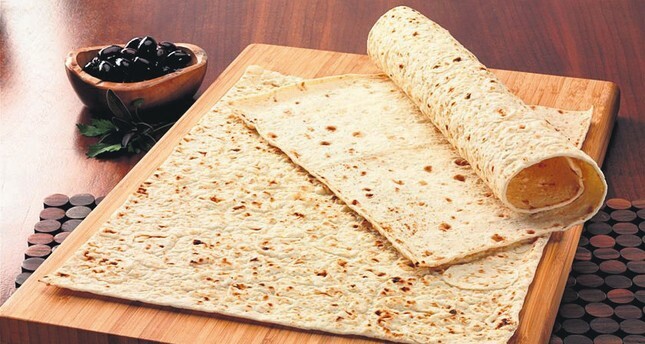 According to the Turkish daily Habertürk, Azerbaijan, Turkey, Iran, Kyrgyzstan and Kazakhstan have prepared and submitted a document to UNESCO regarding lavash, calling for its recognition as part of the common heritage of these countries. UNESCO will discuss the document named "Flatbread-making and sharing culture: Lavash, Katyrma, Jupka, Yufka," and a final decision will be announced at the 11th meeting of the Intergovernmental Committee for the Safeguarding of the Intangible Cultural Heritage, to be held between Nov. 28 to Dec. 2 in Ethiopia. Azerbaijan and Turkey had previously disputed Armenia's request for recognition of lavash as its traditional food. The UNESCO document was revised to state "lavash as an expression of culture in Armenia." Turkish ministerial officers state that lavash has also a ritual place in Turkish culture, especially weddings.Mostly prepared by women in villages, lavash is commonly consumed with cheeses, greens or meats. Throughout Turkey, lavash bread is usually served as an appetizer in restaurants and used in all kinds of rolls, with vegetables, beef or chicken. The UNESCO website describes lavash thus: "A simple dough made of wheat flour and water is kneaded and formed into balls, which are then rolled into thin layers and stretched over a special oval cushion that is then slapped against the wall of a traditional conical clay oven. After thirty seconds to a minute, the baked bread is pulled from the oven wall."